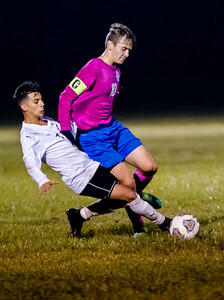 Sarah Nader - snader@shawmedia.com Harvard's Marcos Morales Hernandez (left) tries to steal the ball from Woodstock's Caleb Warmbier during thefirst half of Thursday's soccer match in Harvard Oct. 12, 2017. Woodstock won, 2-1. 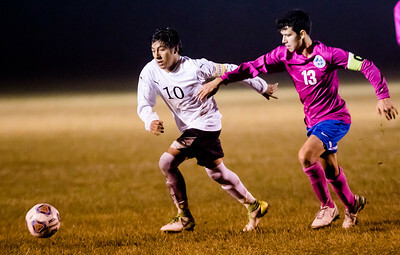 Sarah Nader - snader@shawmedia.com Harvard's Adrian Gorostieta (left) and Woodstock's Angel Arias run after the ball during the first half of Thursday's soccer match in Harvard Oct. 12, 2017. Woodstock won, 2-1. Sarah Nader - snader@shawmedia.com Woodstock's Oscar A. Escorza-Magos kicks the ball during the second half of Thursday's soccer match against Harvard Oct. 12, 2017. Woodstock won, 2-1. 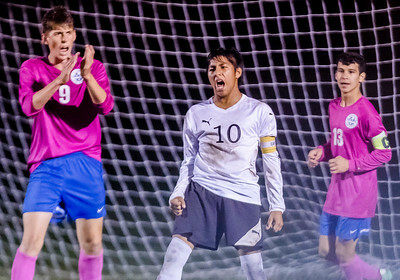 Sarah Nader - snader@shawmedia.com Harvard's Adrian Gorostieta (center) reacts to a missed goal during the final minutes of the second half of Thursday's soccer match against Woodstock Oct. 12, 2017. Woodstock won, 2-1. 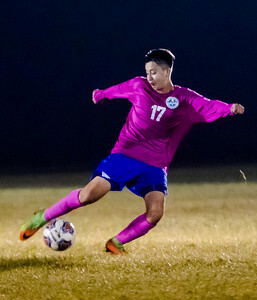 Sarah Nader - snader@shawmedia.com Woodstock's Jose Tolentino heads the ball during the first half of Thursday's soccer match against Harvard Oct. 12, 2017. Woodstock won, 2-1. 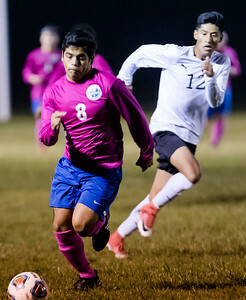 Sarah Nader - snader@shawmedia.com Woodstock's Brian Rico runs after the ball during the first half of Thursday's soccer match against Harvard Oct. 12, 2017. Woodstock won, 2-1. Sarah Nader - snader@shawmedia.com Harvard's Gabriel Popoca (left) tries to keep the ball from Woodstock's Hector Reynoso during the second half of Thursday's soccer match in Harvard Oct. 12, 2017. Woodstock won, 2-1. 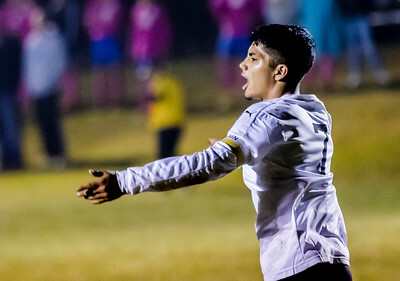 Sarah Nader - snader@shawmedia.com Harvard's Alexis Robles celebrates a goal during the second half of Thursday's soccer match against Woodstock Oct. 12, 2017. Woodstock won, 2-1. 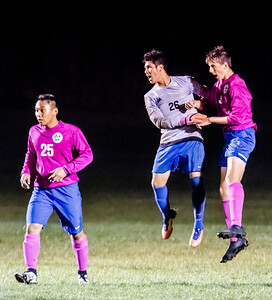 Sarah Nader - snader@shawmedia.com Woodstock's Clode Presisto (left) goalkeeper Sergio Alvarez Jr and Ryan Azzaline celebrates their win during Thursday's soccer match against Harvard Oct. 12, 2017. Woodstock won, 2-1. 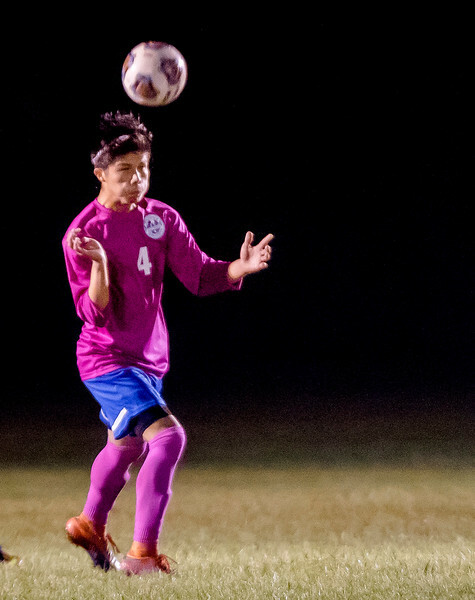 Woodstock's Jose Tolentino heads the ball during the first half of Thursday's soccer match against Harvard Oct. 12, 2017. Woodstock won, 2-1.